First I would like to thank you for stopping by and reading this particular post. Mental and emotional health is so important to me and I believe it is vital to share positive habits of self-care. You are awesome and hopefully this post will encourage you to develop, strengthen, or expand your self-care practices. Enjoy! Sometimes we just need a break from everything. I am talking full disconnect from all distractions such as work, friends, family, social media, etc. When was the last time you enjoyed yourself by yourself? When was the last time you had a full day to YOURSELF with no responsibilities? If you are still trying to remember, STOP, grab your calendar, and mark a day for YOU. Trust me love, the laundry can wait, take a break from homework, order take-out for dinner, and ask someone to watch your babies. No matter how many responsibilities you hold in life this does not excuse the fact that you are a human who needs a break from time to time. For those who do not know me well I am a busy gal. I am always doing something and I can never stay still, but please believe I will find the time to take a self-care day, or what it is popularly known as a “mental health day.” Often times mental health is portrayed as taboo or comes with a negative stigma. Hardly anyone wants to talk about it, which leads to misconceptions of mental health and what habits we should practice in order to take care of ourselves. I am not a doctor, expert, or anything close, but I can tell you first hand that neglecting your mental and emotional health can lead to an undesirable place in life. Always pray, talk to someone you trust, and be kind to yourself. Morning prayer: I like to start off my day with gratitude and peace. Yoga: It’s something about stretching and challenging my body that makes me feel accomplished and tranquil in the morning. Hot bath: Oh how I love a nice hot bath after my breakfast. Of course I fill the tub with lots of bubbles and a few drops of lavender oil. During bath time I like to listen to relaxing music, which btw I have been loving Ta-Ku’s album Songs To Make Up. Netflix/DVR Binge: Whether I am on the couch or in the bed, please believe I am in my cozy clothes, hot tea and water by my side, snacks on my lap, and the remote in my hand. I love a good tv show or movie binge. A good ol’ fashion marathon will put me right to sleep. Reflection/Journaling: This is my favorite part of the day. After I wake up and eat dinner with Caleb, I take the time to show gratitude towards myself in terms of self-love. Sounds cheesy, but I write down all of the things I love about myself and what I am proud of. It is essential to show yourself some love. Please remember that taking care of your mental and emotional health is the most important responsibility that you have. Neglecting it will cause you to fall short in your other responsibilities. 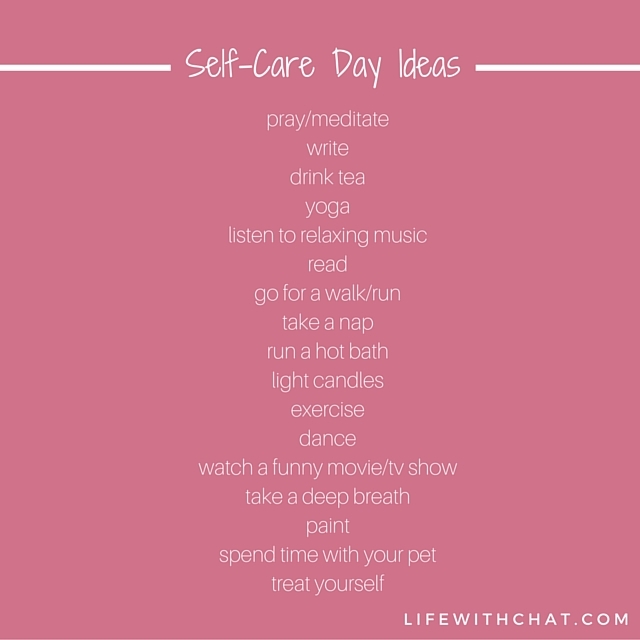 So what will you do on your self-care day? Let me know in the comment box! Kydron! Thank you for stopping by! 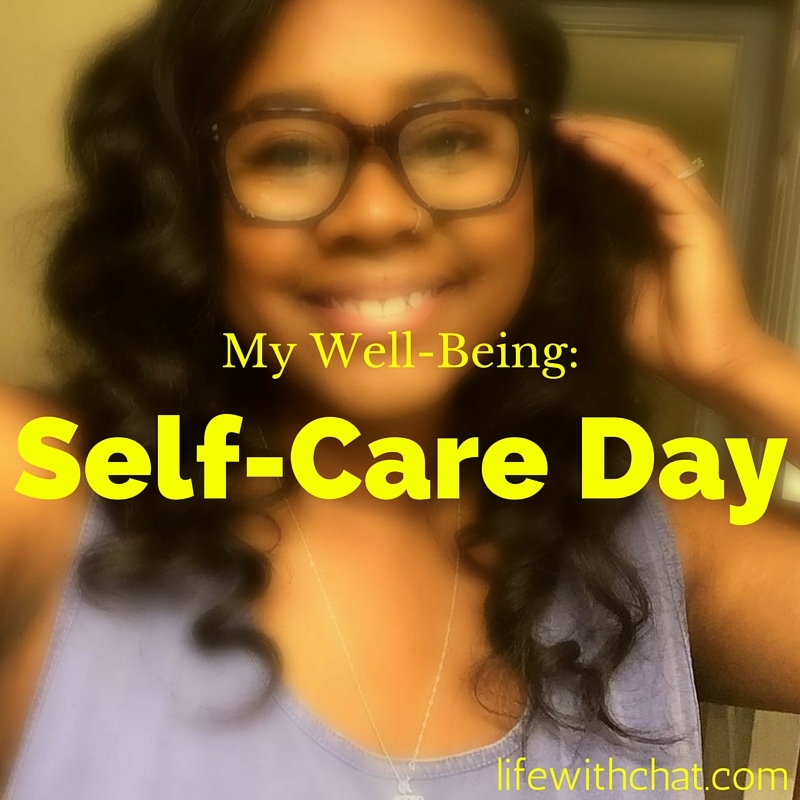 It is challenging to find the time for a self-care day. Sometimes I can’t find the time, so I started incorporating daily self-care practices such as yoga, writing, or watching something funny. Sometimes it is 30 minutes to an hour. Hopefully you can grab some time. Nice hearing from you! Take care. Wow!!! Today I am going to make a list of everything that need to do To responsibility wise and then after that I will dedicate this day to pampering myself, working out and cleaning,. Thank you Brianna for sharing! Cleaning helps me clear my mind too! I love this idea! We all need relaxation and rejuvenation! I’m going to use your Self-Care day Agenda! Thank you!